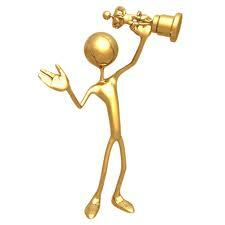 Tom Thornburg sent you an email yesterday inviting you to nominate staff colleagues for achievement awards. These are the Performance Excellence Awards, Extra Mile Awards, and Star Heel Awards. Last year we expanded the eligibility criteria to include EPA professionals—an overdue idea that came directly out of our strategic planning process. Please reflect on your many terrific colleagues and take the time to nominate one or more of them for an award. These honors carry a one-time financial award, and some may wonder if we should be giving them during such a difficult budget year. Absolutely! We have people who are doing impressive work and often under challenging circumstances. It always is important to publicly recognize and celebrate outstanding achievement, and it seems even more important during these challenging times. We value all of our professional staff colleagues, and the awards provide one way to publicly demonstrate our gratitude for their hard work and commitment to the School. I’m not about to miss the opportunity. We don’t know the extent of our budget cuts for this coming year, but I promise that funding these awards and the luncheon will have zero impact on budget decisions. The money for this will come from available one-time funding—as opposed to recurring state money that must be preserved to meet budget cuts. The deadline for nominations is Monday, February 28. Nominate a colleague and then come to the luncheon on Monday, March 21 to celebrate all of the award winners.